At PCA Senior School, students are inspired to develop their potential to the fullest. During these important years, students reflect on what and why they believe and our teachers are there to discuss faith with them. More importantly, teachers walk the talk. PCA teachers, like any other Christians, do have challenges in life. However, they stand firm in faith regardless of the situations and their testimonies become an inspiration to the students and the larger PCA community. Bible classes are mandatory for all Senior School students. They go through Christian classics such as The Pilgrim’s Progress and Case for Christ. At Grade 11, students learn about world religion and apologetics. They are equipped with the reasons, techniques and the desire to defend Christian truth and values wherever they may go. At Chapel, students lead the worship under the direction of teachers. 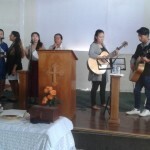 Worship is followed by Bible exposition and/or testimonies. 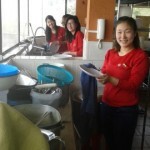 We also arrange for mission groups such as CTI music ministries to come and share their work. It is our desire at PCA that our students develop a heart for missions. This has been a priority since its origin under the leadership of Dr. Oswald J. Smith. 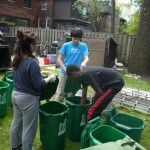 Recalled to Life (R2L) is a program that assists in helping the needy in Toronto. 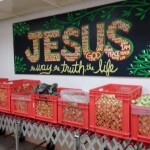 This is usually done as a sandwich run, providing necessary nutrition as well as the Gospel of Christ. Senior School students also follow the Great Commission to go and make disciples. 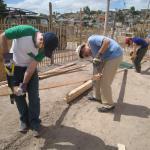 Each year, there will be at least one global mission trip. Starting in 2010, the PCA graduating class started to turn their graduation trip into a mission trip. 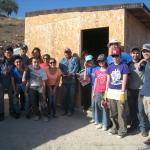 The PCA graduating class, partnering with Caravan Ministries, goes to Mexico every spring to help build houses for the needy at Mexico. 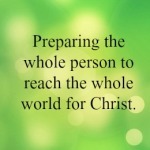 To visit PCA’s Mission Blog, click here. 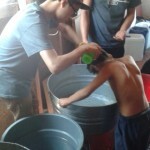 PCA 2012 Senior Missions Trip (Calcutta, India). 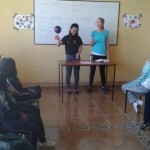 Ecuador: Partnered with Youth World to share the gospel with children and youth in Quito, Ecuador. 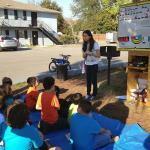 Wikwemikong: Partnered with Day Star Native Ministries to share the gospel with children in Wilkwemikong, Ontario. Florida: Partnered with Orlando Children Church to share the gospel with children in Orlando, Florida. Boston: Partnered with Open Air Campaigners Boston, students shared the gospel with people on the streets. Many children came to the day camp as a result and heard about the gospel for the first time. One day when my 7 year old daughter and I were on the road, we heard sirens from an ambulance. When I was looking for where the ambulance was coming from, I noticed my daughter was bowing down her head. I asked, "Are you scared?" She said, "No, I am praying. Teacher said, "when we hear ambulance passing by, that means someone is in trouble. We shall pray for the people involved." I thank PCA for instilling a passionate and caring spirit in my child. Peoples Christian Academy is academically strong. It was in these classrooms that my three sons were challenged to reach high, trained to work hard and inspired to think ‘outside the box’. Gifted, well qualified and supportive teachers and staff greeted my boys each day. In this caring community, teachers often gave precious time and help beyond the call of duty to their students. Music, drama, tutoring, sports teams, community service and mission trips were all part of the ’extras’. Each of my ’boys’ (now men), greatly benefited from these additional helps, enabling them to become more confident, skilled and well rounded as individuals. To my sons as well as my husband and me, it is the long lasting friendships with both staff and fellow student’s that has made Peoples school that extra special place for each of us. As a distinctively Christian school, my sons were challenged and inspired to see life through biblical principles and to follow Jesus. Hence, PCA’s influence has formed the underpinning of ideas and values that now fuel my children’s future. My hope is to encourage you also to give your child a similar opportunity for growth and accomplishment, by sending them to Peoples Christian Academy. We are forever grateful for this school and it’s influence in all our lives. From the bottom of our hearts, we would like to sincerely thank each and every teacher, parent, student, and everyone else from PCA who gave us and continues to give us support and prayer through this difficult time. I am so grateful to have placed my children in a school where such strong relationships are built. I can sleep well knowing that I have made the right decision having my children go to a school that not only gives an excellent education, but great long-lasting friendships, and a solid Christian foundation. I know that the faculty and friends that my children meet at PCA will all influence them in some way for the future, and I am not worried. PCA is like family to me, and I am so thankful for each and every one of you. We moved schools from Toronto to Markham on the great testimony from good friends who have children in PCA. We are so incredibly thankful that we did. PCA has been a daily blessing to our family. One of our children has graduated from ELC to JK, and we currently have another enrolled in ELC. Not only are the staff kind and caring (which is a hope you have in all daycares), the ELC supersede expectations by also coming alongside parents in the building up of children in the Lord. They do this with a spirit of accountability that you rarely see in any other academic institutions; the staff nurture and love, teach, correct, and encourage - and we are constantly amazed at the level of care they provide. PCA feels like an extension of our church family; we feel like that is the case because the of the culture of "living together as a church family" that comes from the leadership of the school. If you are considering PCA, know that your children will grow here: physically (my picky 3 year old eats so well here! ), mentally (Montessori-like learning) emotionally and spiritually. Enrolling our children at PCA has been one of the best decisions we have ever made, and we would recommend it to any parent in a heartbeat. Thank you for your hard work through the school year. My daughter had a wonderful year. We are so grateful that she had many wonderful teachers in the Middle School. Once again, we thank God for your commitment and sacrifices for this ministry. May God continue to bless every staff member and volunteer who have endlessly poured out their lives to train the students in God's way. We pray that PCA will continue to grow in numbers as well as be spiritually stronger each and every day. This is a dark and broken world, and there is a great need for God's soldiers in our future generation. Keep up the good work! To Him be the glory! Both of our children attended the Peoples School many years ago and we are forever thankful for the positive influence the teachers and staff had in their lives. Thank you. Why does my family travel over an hour in each direction just to drive our kids to Peoples Christian Academy? Last year, my son was in a disastrous situation at a public school. On a regular basis, he either had gotten off the school bus and was left alone looking for an unlocked door to get to his kindergarten classroom, or in the evenings, he would be left helpless at the playground unable to find his correct school bus. This had continued for 6 months, until an old bus driver alerted me of her observation--that it was the school's (not my son’s) fault that he was repeatedly left unattended – nobody cares! Furthermore, my son frequently returned home from his old school with art work celebrating Muslim, Hindu, Buddhist and Bahá'í’s faith days or themes. He countered my teachings on heaven with the curriculum-enforced concept of reincarnation, yet Christianity was never presented. Christmas was only about Frosty the Snowman or Santa and his reindeer. In the past half year at PCA, however, the tide has changed. Now, he comes home with Bible verses and interesting materials that have helped him to learn about spiritual truths. His reading has improved tremendously; he enjoys music instruction, and he feels safe on the school grounds. 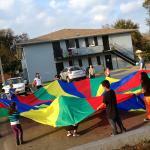 Everyone from the office to the after-school program staff show true Christian care. Thanks for your prayers and love for our family. We have felt the love and care the teachers have for us. PCA nurtured so many spiritual leaders who are now serving in churches (including our church) and other places of the world. Our kids also got strong and solid Christian education here. We are so blessed to have our children in PCA.